You are at:Home»Diet & Eating»Should You Use Creatine While Cutting? We all know the benefits of creatine as a pre-workout supplement – but how many of us know that it should be used while cutting too? Creatine can be extremely beneficial to a cut cycle. Cutting is a common word used describe rapidly reducing calorie intake to cut as much fat as possible from your body. The term is popular amongst competition body builders, fitness models and spring breakers. If done properly taking creatine during your cut cycle will help you burn more fat. Creatine is a naturally produced amino acid that can be found in protein rich foods such as fish and meat. It is a very important protein during weightlifting and other forms of high intensity exercise. Creatine is most commonly taken as a pre-workout supplement to help boost performance and increase lean muscle mass. When you’re cutting calories with the goal of losing weight you stand a good chance of losing lean muscle mass also. The key component to cutting for competition is to retain as much of that lean muscle mass as possible. Taking creatine while cutting is your best bet for making sure you retain as much as possible. One of the biggest challenges professional body builder face during their cutting phase is retaining and building lean muscle mass. 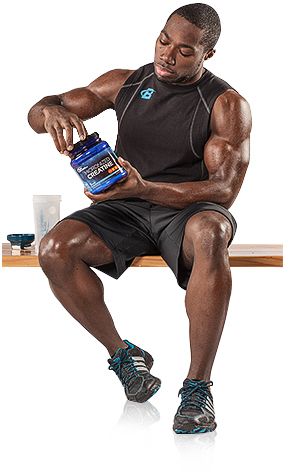 Creatine can help your body retain lean muscle mass if used as a post-workout supplement. As a rule of thumb, it is recommended that you use creatine as a pre-workout when bulking/adding mass and as a post-workout when cutting or trying to shed fat. Creatine offers many benefits, especially in the form of an energy boost. Also, remember that burning sensation you get in your muscles when working out? Well that is a result of lactic acid forming in the muscles – creatine will help reduce this burning sensation. It also improves stamina, allowing you to do more cardio work and in turn burn more calories per workout. The most obvious benefit is the “swole” look you get while taking creatine. By drawing extra water into your muscles during your workout your muscles will start looking bigger than normal – which is ideal for many body builders. Also, your body will automatically burn more calories if it has to work harder during any task. More muscle mass equals more weight which equals more work required to complete a task. Many people assume automatically that creatine will cause you to look bloated and retain water. This is only half true as there are different types of creatine available. The most popular is creatine monohydrate, which does in fact cause you to retain water. This supplement is best used as a pre-workout during bulking. The second type of creatine is anhydrous creatine – this is what is recommended to use as a post workout during a cut cycle. You can also check product labels for “bloat-free creatine” – these products will most likely be anhydrous. If you haven’t used creatine in the past you may see some initial weight gain while on the bathroom scale. This, however, is just a little extra water retention in your muscle tissue and should not be a point of concern. Your body will adjust overtime to the creatine and you water retention will decrease. Any time you’re looking to start a cutting cycle you must have one thing in mind: creating a calorie deficit. The only way to burn fat is to burn more calories than you consume each day. Many people focus only on burning more calories during their workout. Maybe they workout harder or longer or try different exercises. What they don’t forget it that burning calories happens all day every day – not just while working out. Creatine while cutting helps you burn more calories by increasing your resting metabolic rate. Your metabolic rate is the amount of calories you burn while at rest, or not working out. Now compare how many hours a day you are working out compared to not working out and you’ll understand how important it is to increase your resting metabolic rate. Most of these side effects are generally mild and will go away after prolonged use. Talk to your doctor before taking creatine if you have a history of high blood pressure or hypertension disorder. Make sure you also tell your doctor about any other medication you are taking as those medications may affect how your body reacts to creatine. Supplements should always be taken according to recommended dosages. If you are using creatine while cutting it is recommended that you use 3 – 5 grams of creatine per day. It is OK to start with less and work your way up over the course of a week or two. All the above listed brands are creatine anhydrous and can be used for either pre or post workout. Bottom Line: Should You Use Creatine While Cutting?